KAPE would like to introduce our new Director of Field Rep Services, Charisse Cody from Hazard. Charisse is a retired teacher from Hazard Independent who has worked for KAPE in Eastern KY as an area rep since her retirement. Our membership has grown with her work. Charisse also serves KAPE members as a registered legislative agent or “lobbyist.” Charisse has been a KAPE member for many years. She works in her local church with its music ministry, she and her husband are involved in Civil War re-enacting, and she loves to dance. KAPE is lucky to have such a talented representative. Congratulations, Charisse, on your promotion! Get to know KAPE! This is KAPE’s Ambassador of Goodwill Regina Petrey Huff, longtime educator from Whitley County. 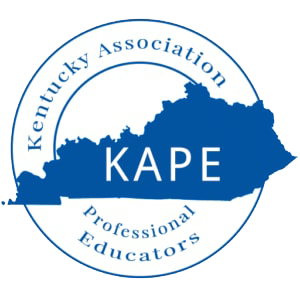 Regina and her late husband, Dewayne Bunch, were members of KAPE for many years, and were some of the first members to join when KAPE spread to southern KY. Regina has served as a representative of KAPE for many years in functions in awarding scholarships and awards in her area. She has also served on the KAPE Board of Directors and as advisor to the Executive Director. Thank you, Regina, for your volunteer work with KAPE members.